Great Preparation for Future Career – Self Help Inc. Upbeat, friendly and capable are a few adjectives that come to mind while chatting with Los Alamos resident and Self Help, Inc. Intern Jacqueline Fernandes, or “Jackie” as she prefers to be called. Self Help, a non-profit organization dedicated to supporting those in need in northern New Mexico, is “committed to enhancing life skills and empowering individuals by providing programs and services that focus on developing self-reliance.” A strong background in teaching life skills and self-sufficiency to autistic children as well as fluency in both Spanish and American Sign Language (ASL) are among the assets Jackie has contributed to her work with Self Help since she signed on in August 2016. She completes her internship and her B.S.W degree in May 2017. Jackie and her family came to Los Alamos in 2015 when her husband accepted a post-doc position with Los Alamos National Laboratory while completing his doctorate in physics at Dartmouth College in Hanover, NH. Jackie decided it was time for her to complete her bachelor’s degree to add to her associate’s degree in ASL awarded in San Diego before moving to New Hampshire in 2009. Now she’s graduating from Eastern New Mexico University with a bachelor’s in social work. This fall, she’ll start work on her master’s in social work. In addition to her work and studies, Jackie has also been busy raising two daughters, Bianca, 17, and Angelica, 2-1/2. While living in New Hampshire, Jackie worked with autistic children with The Hartford Autism Regional Program (HARP) in White River Junction, Vermont, just across the river from Hanover. Her certification in ASL, as well as her patient and compassionate personality, equipped her to communicate with autistic children who may be unwilling or unable to communicate verbally. With a two-to-one student/teacher ratio, HARP teachers are able to establish close relationships with students. The goal of the program is to provide training in life skills and self-sufficiency to students, who may stay in the program until their late teens or be mainstreamed with an aide, depending upon their progress. Jackie has been fortunate to be able to maintain her connection with a special student whose family vacations in Colorado, giving her the opportunity to visit with him occasionally. 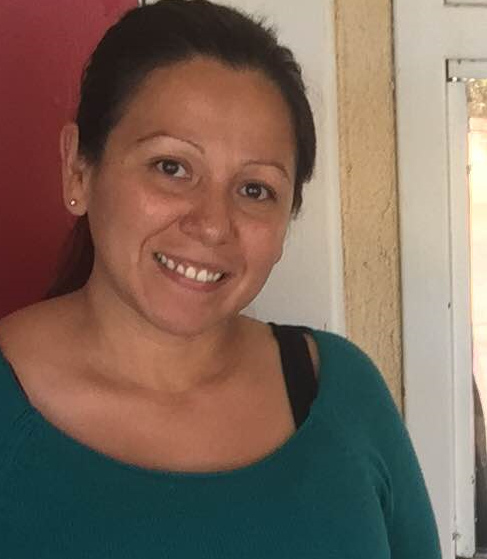 As a first-generation American growing up in San Diego with immigrant parents, Jackie’s fluency in Spanish and her deep familiarity with two cultures have proved to be valuable assets to her work with Self Help in this region. Her goal today is to do her graduate work in social work with a concentration in mental health, an area in which her tri-lingual skills and her bicultural background should provide her with unique qualifications. She hopes she and her family will be able to remain in Los Alamos because they’ve grown to love the community—both the people and the variety of outdoor activities available here. Both she and her husband are runners and the entire family loves being able to hike together. Jackie is looking forward to the possibility of studying with daughter Bianca this fall as both matriculate; Bianca as a college freshman and Jackie as a grad student.